The emergence and spread of new images – photography, film, television and audiovisual – have brought about an important epistemological revolution that has encouraged contemporary man to have a new attitude of confidence not only towards the image but also to reality. The modern knowledge that exploded man’s certainties into hundreds of relative truths has been removed. The perfect doubling of reality offered by the new media has quietly eliminated doubt about the faithful restitution of reality into images, and, consequently, into the events of the outside world. Opposing this credulity, this mental breakdown as Joseph Conrad called it, we will need to recover the principles and themes of modern thought that came into existence in the Seventeenth century. This recovery will serve not only to oppose illusions and deceits, but also to understand the nature of the new images better. Andrea Rabbito is Associate Professor of Cinema, photography and television at the University of Enna “Kore”. He is the author of a tetralogy about the illusions and the relationship between cinema and the art of modernity, tetralogy of which has just been published the last volume: The media wave. 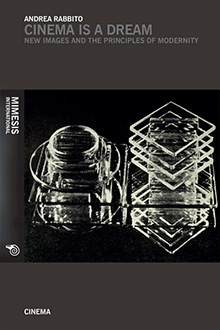 The new images in the era of visual society (Mimesis 2015).